Staff Selection Commission has declared Marks of Tier I examination of Multitasking Staff(Non-Technical). 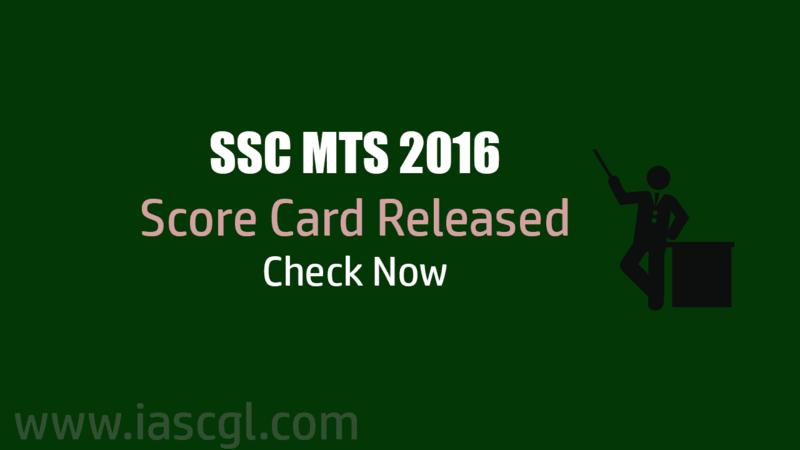 SSC MTS exam was held in month Sep, Oct 2017. Result of same declared on January 15, 2018. Marks list can be checked from the link given below. Candidate can check their marks from February 27 to March 26, 2018. SSC, with score, released a list of candidate who appeared more than one time in the examination. Candidature of these candidate was cancelled by the commission.